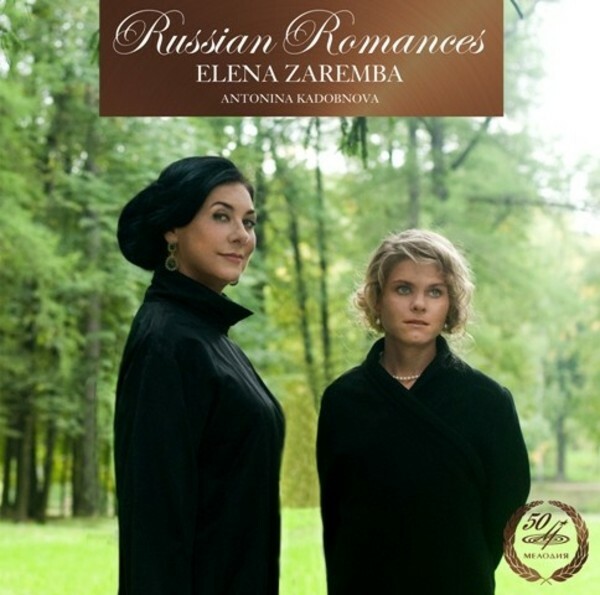 Firma Melodiya presents an album of classical Russian romances performed by Elena Zaremba. One of the best Russian mezzo-sopranos of her generation, the singer began her career at the Bolshoi Theatre of the USSR in the mid-1980s. She conquered the world of opera, performing at some of the best theatre and festival venues with Russian, Italian, French and German repertoire and taking part in productions with prominent soloists and conductors. Only recently has she turned to chamber vocal music for the first time. Russian romance is a special genre demanding not only professional skills. Stage and life experience, a subtle sensation of music and poetry, complete understanding between a singer and an accompanist � all this is needed to fully grasp this sphere of vocal art. Elena Zaremba�s performances with chamber programmes confirm that romance is not respite from the operatic stage for her but a new step in her vocal and dramatic career. The album covers a hundred years of the evolution of Russian romance � Glinka, Dargomyzhsky, Rubinstein, Cui, Tchaikovsky, Rachmaninov, Medtner. This programme was born through collaboration with Antonina Kadobnova, a remarkable pianist and concertmaster. A prize-winner of international competitions, she is very active as both a solo performer and accompanist, performing with well-known and young vocalists. These recordings of Russian romances were made by Elena Zaremba and Antonina Kadobnova in 2011.